National printing associations from around the globe met last week, 5th June, in Porto to discuss Print Matters for the Future. 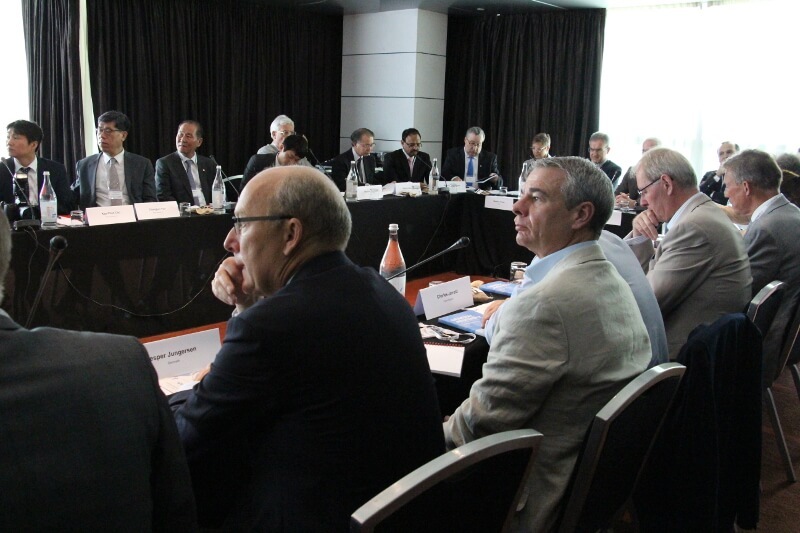 The meeting was organised by the World Print and Communication Forum (WPCF) and its member association Intergraf for participants to focus on the future of the industry, latest technological developments, studies and the economic situation in various markets worldwide. With 50 participants from 23 different countries enjoying a varied programme, the conference was a success and an important 2nd edition of an event which is fast becoming a highlight of the year for national printing associations worldwide. The conference was moderated by President of the WPCF, Michael Makin and President of Intergraf, Francesc Hostench. It was hosted by the Portuguese printing association, APIGRAF and open to all WPCF and Intergraf member associations. As the event took place in Portugal, it was important to have a perspective on the local and wider European economy. Former Portuguese Minister for the Economy, Professor Augusto Mateus, delivered a keynote presentation on the reindustrialisation of Europe and recent economic developments in Portugal. Digital techniques in printing are here to stay and make up an ever growing portion of the modern printer’s workload. With that in mind, Jacques Claude from Gutenberg Networks in France compared digital and print efficacy in marketing, while Sousa Ribeiro from Sistrade delivered a presentation on the practical applications of their digital marketing solutions. Sean Smyth of Smithers Pira, provided a vital overview of the print market putting the day’s presentations in context. For the first time outside of Belgium, Olivier Braet from the Free University of Brussels (VUB) presented the findings of a recent study on how much consumers are willing to pay for ebooks. The study, conducted by survey, found that in general, between seven and ten euro is the sweet spot for consumers and there are a range of price points consumers would consider buying an ebook and physical copy bundle. Print books will still exist of course, but over time the market will likely shrink and both ebooks and physical books will need to coexist at price points that both make sense and more importantly, profit. At events like this, it is essential to keep sight of the companies surviving and thriving, changing their business models while day-in, day-out serving their customers. Emanuele Bandecchi from Rotolito Lombarda in Italy, delivered a case study on how his family company has weathered changes in the industry and brought staff with them on a journey changing the company’s focus towards digital printing. Paulo Silva, from Portucel Soporcel deliver details on Portugal’s Think Again and various other campaigns on print outlining the environmental credentials of print and highlighting the innovative marketing campaigns that can be achieved with an effective mix of print and digital technologies. The worldwide nature of the conference was emphasised by presentations from China, Brazil and Korea. Yang Bin from the Printing Technology Association of China presented a market overview of China while Fabio Arruda Mortara from ABIGRAF, gave an overview of the Brazilian market. Finally, Peter Park from the Korean Printers’ Association, presented the World Print Congress which will take place under the WPCF banner in Seoul, August 30 – September 2nd 2016.